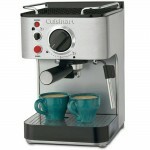 Click the button below to add the ECM Mechanika IV Espresso Machine to your wish list. ECM’s reputation for excellence has a tendency to speak for itself, but the Mechanika IV makes an equally audible statement about the quality of their machines. Touted by some as the sister machine of their Technika IV, the Mechanika impresses with both its impressive internal components and external design. 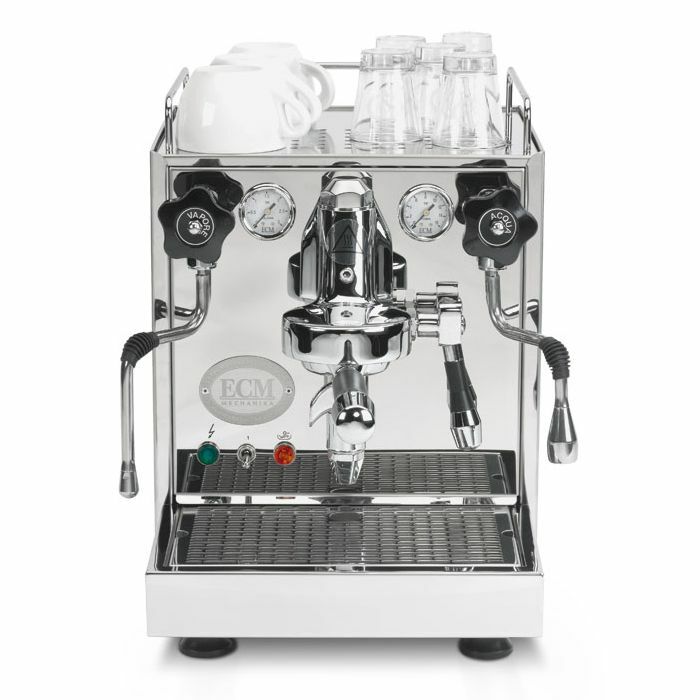 Once again ECM has created a competitively priced machine that addresses the needs of a barista who desires prosumer performance and build quality. Wrapped in a stainless steel exterior, the Mechanika IV is tough as nails, yet it still commands attention with its traditional Italian flare. 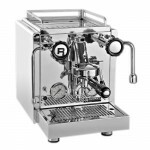 The railed cup warmer and dual pressure gauges are both functional and stylish while the brew lever and custom designed group head pay homage to its heritage. This version of the Mechanika is built with steam and hot water knobs instead of levers, which are labeled “Vapore” and “Acqua” respectively. On the inside the housing rests on a one-piece steel frame that spans the full length of the machine. 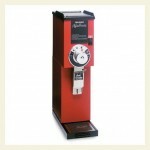 The Mechanika brews with an auto-filling 2.1 liter heat-exchange copper boiler and a high performance vibration pump. 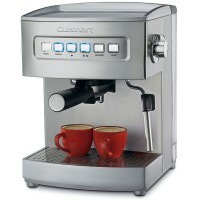 In line with all of ECM’s home espresso machines, the water lines are all copper as opposed to plastic. The keystone of the brewing process, the E61 group head rests in the front of the machine, helping to maintain a stable brew temperature from the boiler all the way to your cup. 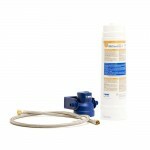 The water reservoir holds up to 3 liters of and is equipped with an automatic shutoff that triggers in the event of low volume to prevent damage to the boiler. 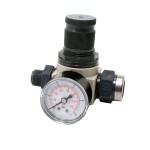 As a heat-exchanger machine, you are able to brew and steam at the same time thanks to the thermosyphon system. Both the steam and hot water wands are made of stainless steel and are designed with no-burn insulation to prevent them from getting too hot too quickly. 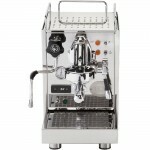 The Mechanika comes packaged with two weight balanced, chrome-plated brass portafilters and a single and double shot filter basket. 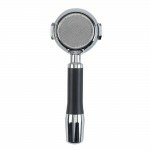 One of the first things you'll notice about the portafilters are how balanced they feel in your hand. The weighted end offsets the weight of the basket, keeping you from having to overcompensate with your wrist. On par with commercial grade machines, the Mechanika’s portafilters are made of chrome-plated brass for increased temperature stability. 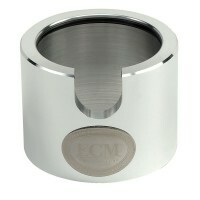 The Mechanika is housed in polished stainless steel that is both tough as nails and easy on the eyes. ECM wasn't content with simply welding the drip tray onto the machine, it's actually part of the frame for enhanced durability and build quality. 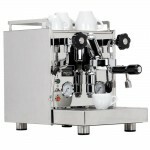 As an ECM machine, the Mechanika is fitted with copper water tubing as opposed to teflon or other plastics. 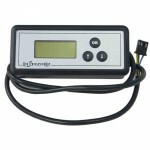 The water reservoir holds an ample 3 liters of water and is fitted with a sensor that shuts off the machine at low volume to keep the machine from running dry. To help prevent accidental burns, both the steam and hot water wands have been insulated to keep them from getting too hot too quickly. 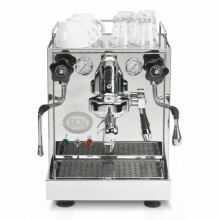 The steam wand sports a two-hole tip, ideal for frothing milk for lattes and cappuccinos. The hot water wand can dispense water for tea, cocoa, Americanos, and more.